We’re bringing organizational culture back to the forefront for 2017. Why? 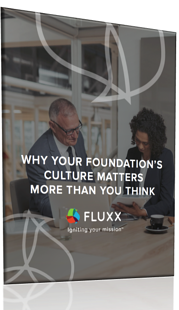 Because a lack of culture can irreparably harm your foundation. When your team shares your foundation’s core ideals, you can count on them to support the foundation’s mission. Unifying your team around your mission. Start building a culture that aligns with your mission. Your entire foundation will be glad you did. Fill out the form on the right to get started.